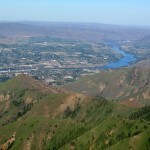 Register now for the 2012 WALPA Conference in Wenatchee! The Future of Lakes: The Next Generation of Limnology Research and Mitigation. This year, the Washington State Lake Protection Association (WALPA) will host its annual conference in beautiful Wenatchee. Join us on October 24-26 at the Coast Wenatchee Center Hotel and Convention Center. Workshops are scheduled for the afternoon of Wed. October 24 (algae, aquatic plants, YSI and Hach Hydromet); registration and exhibit setup will begin at 6:00 AM Thursday, October 25. In the summer of 2009, one of the directors of our association returned from a trip back East and reported her experience at Lake Ontario where she had to wear shoes on the beach and in the water thanks to the infestation of zebra mussels. 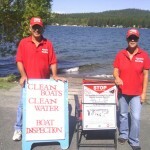 This sparked our interest and the Diamond Lake Improvement Association (DLIA) started researching quagga/zebra mussels. Freshwater aquatic plants – what are they good for? 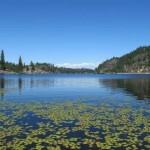 Aquatic plants are an often misunderstood and under-valued part of lakes and rivers. Though many people would rather not have them in their favorite swimming spot or fishing hole, native aquatic plants provide varied environmental benefits to many lakes. Quagga and zebra mussels not yet found in Columbia Basin – let’s keep it that way! When most people think of the western United States, they think of wind-swept mountains, dense conifer forests and open arid deserts. A closer examination of the map shows that our communities are more often associated with the lakes and rivers that flow through the region. We live near the water and it is important to all of us. Agriculture, power generation, recreation and water-based tourism drive many of our local economies. Water defines many of the communities in our region and this precious resource is at risk. Vote on these bylaw changes in October! The WALPA Board of Directors is proposing changes to the organization’s bylaws to help retain members and clarify the participation required of Board members. Freshwater aquatic plants - what are they good for? Quagga and zebra mussels not yet found in Columbia Basin - let's keep it that way!